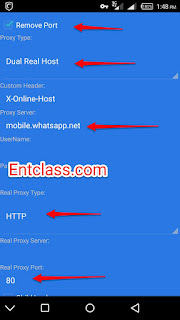 In this post, i will drop another settings for Etisalat socialme unlimited browsing on Syphon shield vpn. The speed no be here. Fast in downloading, streaming, browsing etc. Tested and confirmed by me Victor Kachi. The speed is so sweet. My speed is more than 100kb/secs. You must have strong 3G network on your line and make sure you put your preferred network type to 3G Only. You must be on Easycliq. Dial *244*1# to migrate to EasyCliq. To subscribe for Etisalat socialme plan, dial *343*6*10# for N150 weekly. Both are not unlimited. Weekly is capped 300mb while monthly is capped 700mb. 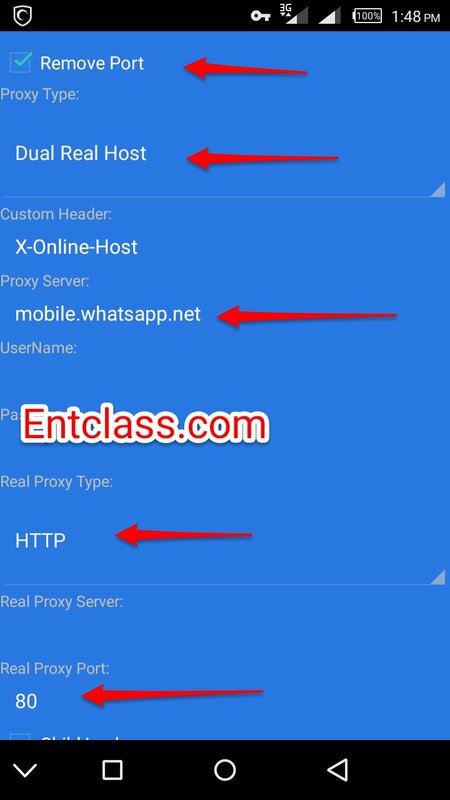 Proxy server and port: Leave it blank. Username and password: Leave it blank. First of all, download Syphon shield here if you don't have it installed on your device yet. After successful download and installed. Launch the app and set it as seen in my screenshot, kindly zoom this pictures for better view. To get to this handler menu, kindly tap on the blue gear icon. To get to More Options, kindly tap on the blue spanner icon on the homepage and set it as seen in my below screenshot. After imputing those settings and ip, kindly go back and select United kingdom as yout Region and tap on the white Round circle to connect. It will connect within 10secs. When connected, start flexing the speed. If you are confused, please comment below and solutions will be given to you. Sir, there is no 100naira sub for this. The ip is still working and that's what I am currently using now. Victor please can't one do it for 150 naira? There is a 150 plan which is weekly. Dail *343*6*10#. But it is capped 300mb now. Sir, i have made it clear that it is not unlimited. This is an old post which settings are still working. Alright i have edited the post.